According to a 2003 study by H.G. Parsa, associate professor of hospitality management at Ohio State University, 57-61% of all restaurants fail within their first three years of existence. Sadly this has been the case on Cape Cod over the decades with numerous restaurants being opened only to be shuttered and replaced soon thereafter. The streets of the Cape have a continuously changing appearance with restaurants coming and going like interchangeable parts. However there are some, a small group of establishments, which have bucked the study. These places, scattered all across the peninsula, have become icons and built a tremendous legacy. What makes these spots different from the countless that have failed is not for sure, still there is something special and unique about this group. This is why year after year locals and visitors alike flock to them, keeping the flame burning. These are some of the landmark restaurants of Cape Cod, seasonal and year-round. There is still time to check them out and see what it is that makes them different from so many others. The oldest spot on this list has the distinction of being a Triple Crown clam chowder champion, meaning it won the contests for Cape Cod, Boston, and Newport. Two floors of views of Parker’s River Beach make the dining more than just a meal. They do not accept reservations so get there early as wait times can reach two hours. For more than seventy years this iconic restaurant has attracted customers to its Commercial Street locale thanks to its amazing view, fresh seafood, and unmistakable neon sign. It is usually a must for visitors to the tip of the Cape. This spot does not only specialize in seafood though as it dabbles in Portuguese items as well as steaks and chicken. This seasonal restaurant is opened through the end of November. Located within sight of Bass River this landmark is still hugely popular after more than seven decades in service. People come literally by the busload to feast on the seafood, steak, chicken, and lobster. In addition to a regular dinner service this spot also caters to weddings and private functions as well. It is opened year round. The ferries routinely pass by heading to Martha’s Vineyard adding to the fabulous waterfront view of this establishment. The restaurant itself is made of wood from shipwrecks and boards from other old buildings. The food and atmosphere is award winning, the dining room seats 180, and reservations are accepted. The home of amazing breakfasts with lines routinely out the door waiting to get a seat, this is a must-visit on the Mid-Cape. There is a special section on their menu and website for ‘first timers’ to better help them understand what goes into making this place unique. The Red Cottage Home Fries are legendary and they only accept cash so keep that in mind when arriving. 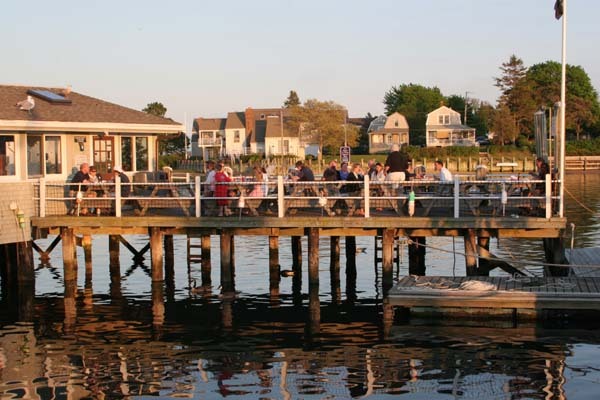 Serving the freshest seafood with a spectacular view of Hyannis Harbor this is a spot to bring the family or to have a few drinks with friends. There is the Fish ‘n’ Chips restaurant for the kids and the Boathouse for the 21+ crowd. They are known for their Award-Winning Binnacle Bloody Cocktail which would go perfect with any of the fried, baked, or broiled seafood. Originally a sea captain’s home turned into a restaurant this spot has grown considerably since its inception. It now showcases five elegant dining rooms and features traditional New England cuisine within a short walk of the beach. The lobster fritters are a favorite and they are opened just for dinner so be sure to arrive early to get a table. 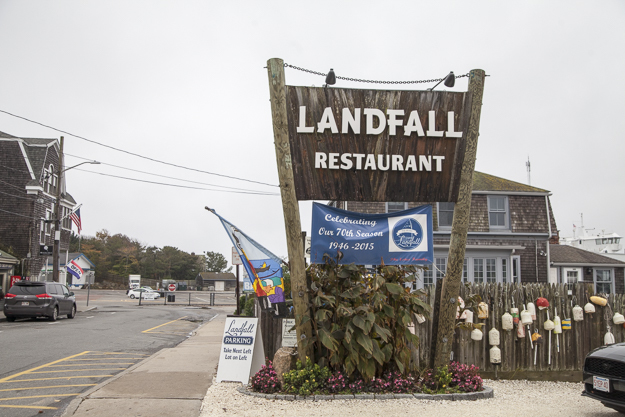 Hundreds of restaurants on Cape Cod have come and gone over the last half century. Some have been iconic lasting decades, some have flamed out in a few short months. The one constant over that period of time has been these fine institutions that have bucked the trend and withstood the test of time. Though they are highly likely to be around for many more years to come why not enjoy the last traces of summer by dining at one or more of these fabulous locales? You missed Pie in the Sky in Woods Hole and Captain Frosty’s in Dennis. The Dolphin Restaurant, owned by the same family for three generations and Mattakeese Wharf, the same family since the late 60s or early 70s. Actually it has been owned by the same family for 70 years! I know its not old..but definitely has staying power..Keltic Kitchen…..best breakfast and lunch on the Cape!!!! I would add Wimpy’s in Osterville to the list. You’re right! I just looked it up and it was originally opened in 1938, wow, there is my big omission. I tried to stick to places opened before 1960, good call by you. Started as a hamburger counter in 1938. The Hostetter Family. You also left ‘the Orleans inn’ off the list!! Does the Wee Packet in Dennisport qualify? Seems to have been around a long time. Gina’s By the Sea, Dennis, since 1938. …and I’m sure there are plenty more! Heard Rockwell King on the piano both in Stow and on the Cape at the Ebb Tide. Years ago. What ever happened to the Mayflower Restaurant on Main Street in Hyannis?? Also Mitchell’s Steakhouse near the Airport?? I always loved Baxters!! I left the Cape in 72!! Thank you for all the awesome recommendations! I wish that more of them had vegan options! What about the kettle and drum or fife and kettle o whatever in cotui. It was there in the sixties when I walked in from mashpee. And the daniel Webster in Barnstable?